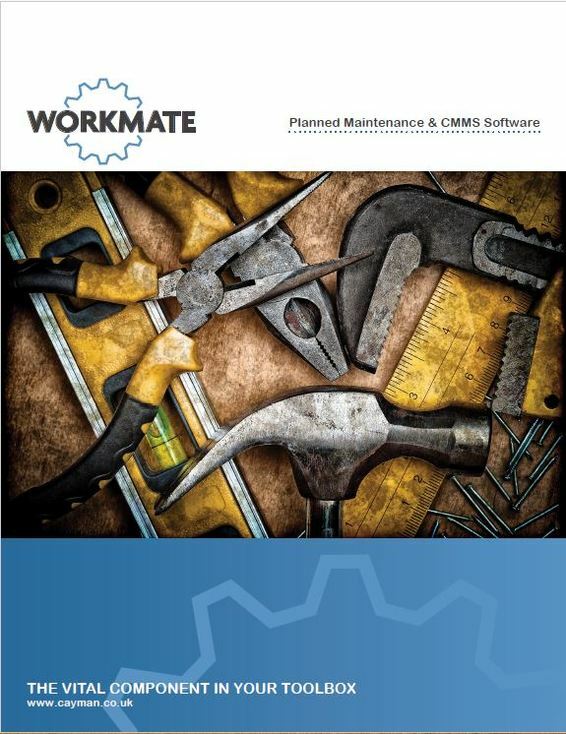 Planned Maintenance & CMMS Software. Since 1991. Store your plant items information in here. This could be Plant Machinery, facilities, buildings, indeed all the items that you maintain. Hold as much or as little information in here as you need. Also provide links to important other information. History, Spares, Documents, Pictures, Manuals and Risk assessments. In here enter all the tasks that you perform on your equipment. These could be regular tasks such as Routines, inspections, PM’s or overhauls. This information can be printed on to your works orders. You can hold an inventory of the spare parts that you use. Against them you can hold quantity in stock, reorder levels, nominated supplier, location, cost and if you wish, much more. Users, who you have given access, can log on to raise work requests. This can be done via a single easy to use screen. By linking your plant items to instructions, you can set up regular scheduled maintenances, by calendar or by whatever units you wish, hours run for example. This is the heart of your work control. From here you can raise new work, add in retrospective work, print out work orders and allocate or prioritise work. 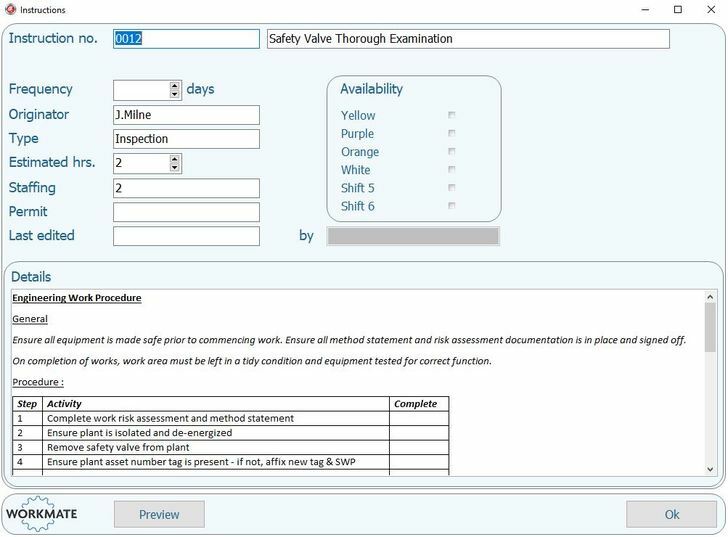 It’s also where you can complete jobs with as much or as little detail and comment as you need including time spent, spares used and downtime. All jobs can be processed through the Active work-list, the working heart of Workmate. When jobs have been completed the details you have collected are all stored in your History File. As with all the files in Workmate, you can search and filter the information on whatever basis you want. 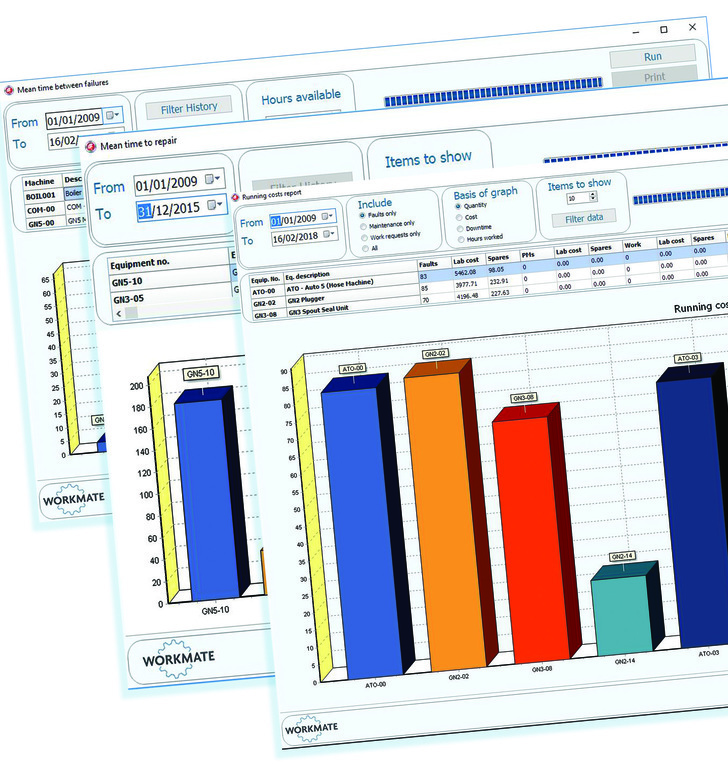 This information can then be used to produce simple list reports, machine history, downtime resources used and much more information. 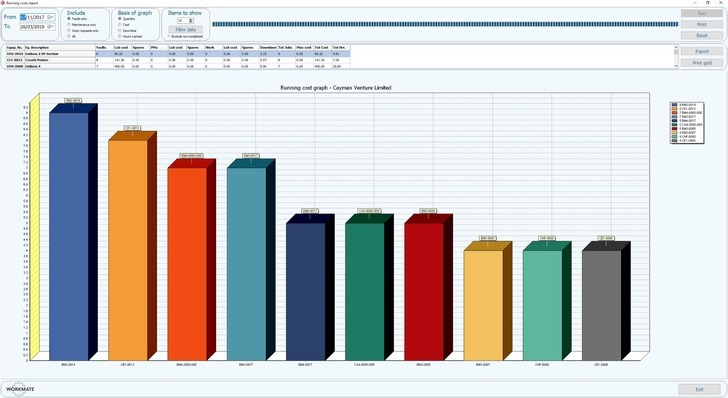 Having recorded the work done on your equipment in history, a comprehensive suite of reports and graphs shows you things like, Machine downtime, common breakdowns, top ten worst performing equipment, future maintenance prediction spares used and many others. 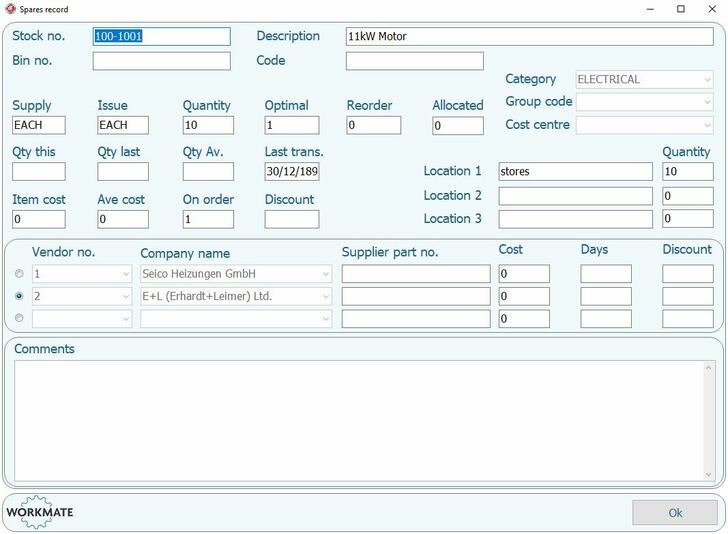 Most reports can be filtered to display only selected areas, equipment or work type. 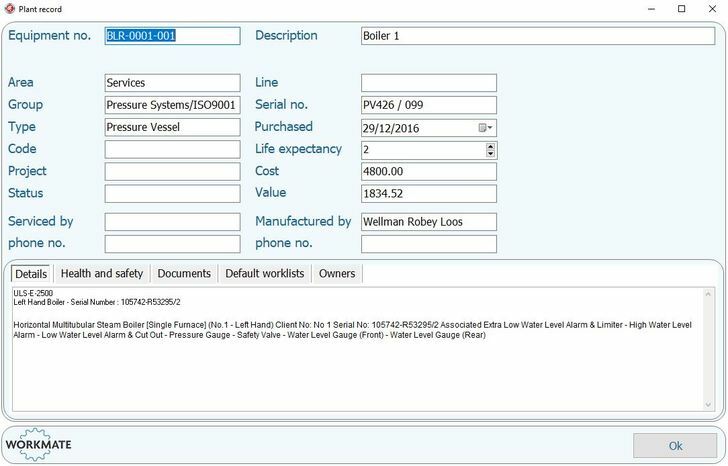 This is a register of the suppliers of the spares that you use with all of their contact details, address telephone and email. You can limit the amount of access to Workmate for each of the people that use it. 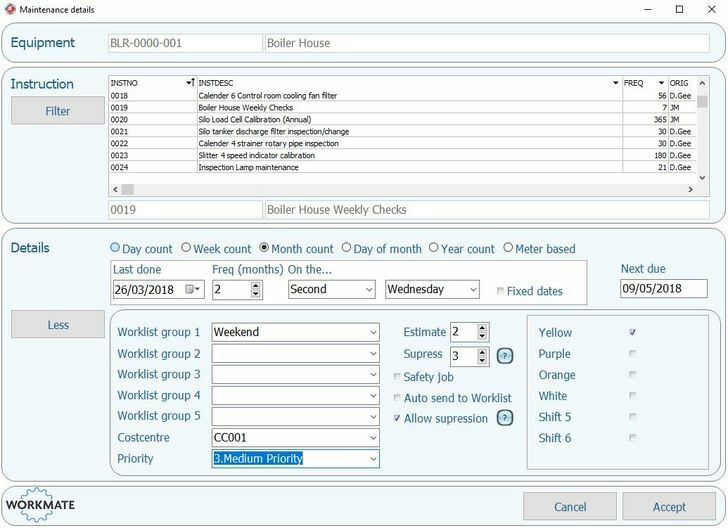 This can be as limited as access to only one screen, say the fault reporting and then only access to raise a new job, this can then be done without any typing, just by selecting from a pull-down list. 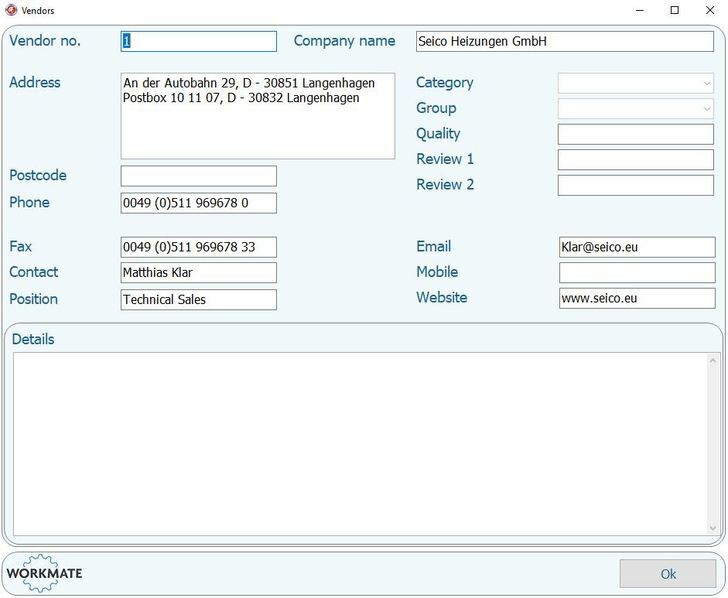 Workmate is a fully multi user application and will run on any standard windows environment, on a defined number of terminals or across the whole site. 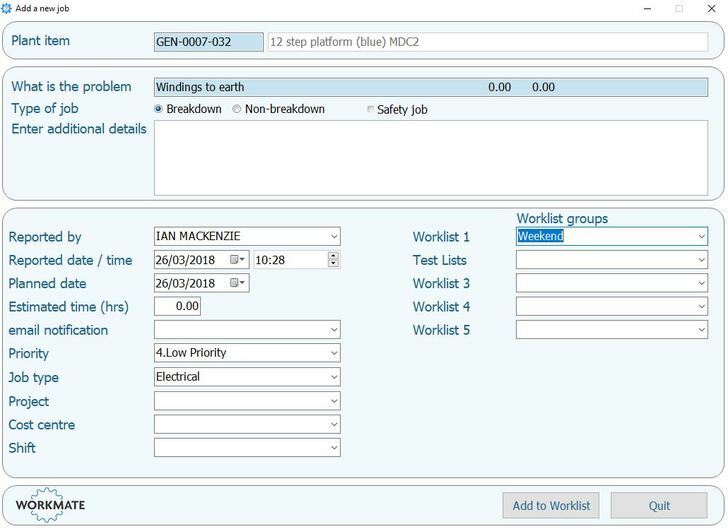 Workmate mobile is an optional module for users who need access to their work list from mobile devices, via 3g, 4g or WIFI. Workmate is available in two main configurations, single terminal or multi terminals across your network. Workmate is designed installed and supported by us here at Cayman. This means that we are able to provide a service to users where we can add bespoke features or enhancements to the system to individual users’ specification. 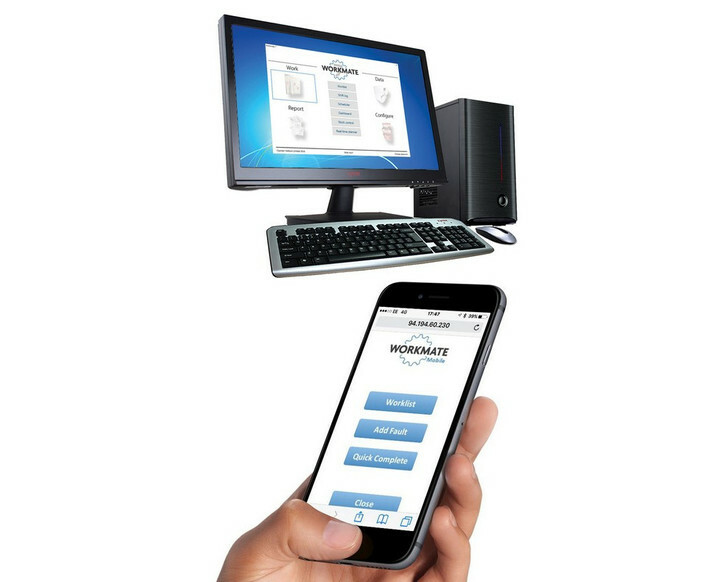 An optional extra, Workmate Connect will provide access to the system via a web Browser. 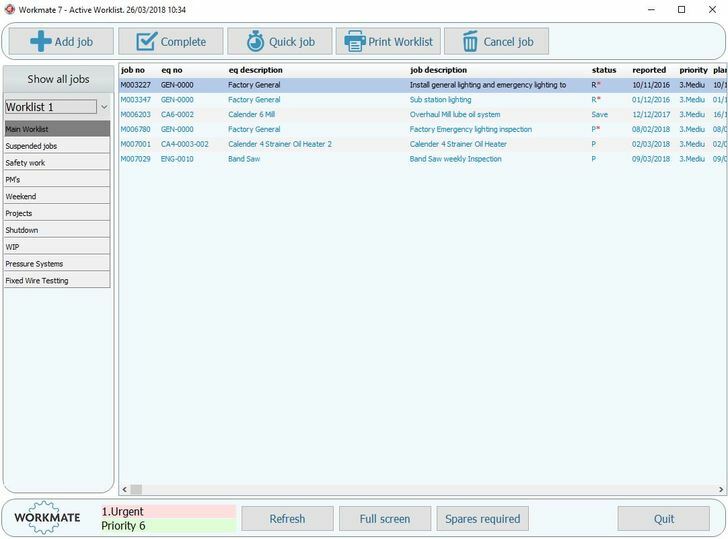 DDD Limited install Workmate maintenance management into their Watford site. Arch Timber Protection select Workmate CMMS.